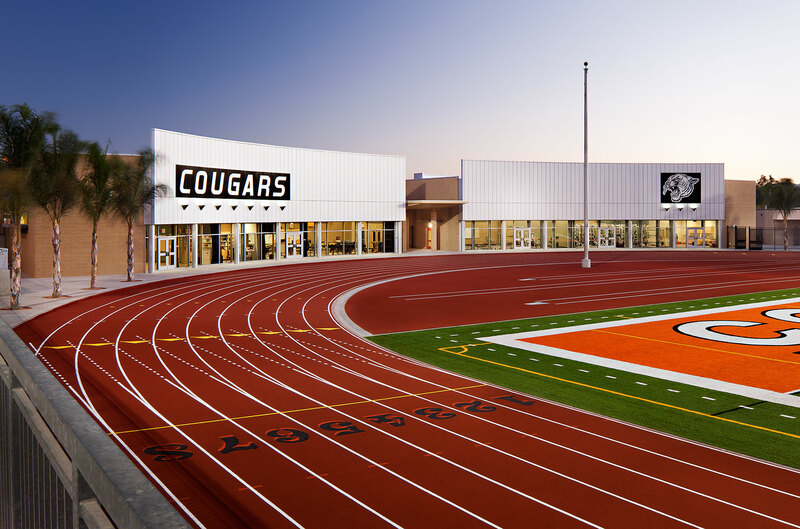 Escondido High School new football field. Photographed at dusk by architectural photographer Zack Benson. All rights reserved ©.